So you need something different for that man in your life. Forego that boring necktie or gift card and give him something special this year. We found some unique items, One-of-a-Kind Finds, just for him. But even if these featured gifts aren&apos;t quite right, we still recommend checking these stores out as we didn&apos;t have enough room in our Gift Guide to profile everything we saw. The title alone may sound boring, but we truly were floored by the incredible creativity and ingenuity of these light fixtures created by local entrepreneur, Rich Armstrong, that we found in the back of Old Bob&apos;s, 10896 E. U.S. 36 in Avon. Rich must see light in just about every old item he finds. 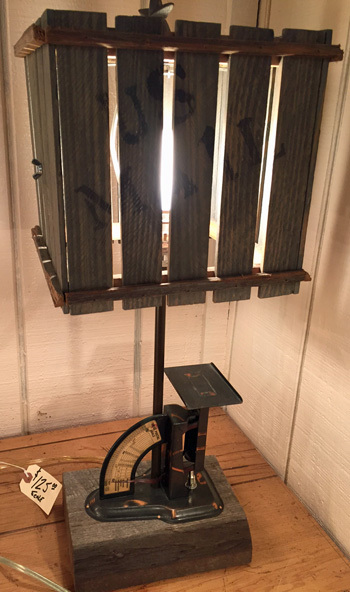 His collection truly came from the unlikeliest sources, an old bass drum pedal, a vintage postal scale, hollowed out books, old hubcaps and the list goes on. He even does custom work if you have an old item you would like him to turn into a light. Though during the holiday season, his already completed light fixtures at Old Bob&apos;s are 15 percent off. He also had rustic vanity lights for sale made from various woods and other items. I was told much of the wood was salvaged from old barns. Prices begin around $45 and go up from there with the vanities costing around $150. We also found some repurposed light fixtures at Outta the Shed, an antique store on the Hendricks County Courthouse Square in Danville. Whenever we go out scouting each year for our holiday Gift Guide, I come away amazed by the creativity we find in Hendricks and Morgan counties like I described in the light fixtures above. We found another example of that creativity in the form of metal wall and table art at two locations, one in Hendricks County and the other in Morgan County. Both locations feature different artists but the end products are similar and would be a welcome addition to any man&apos;s desk or wall. We found art featuring the state of Indiana and even using old car engine parts. Prices ranged based on the location and the art itself, but we would encourage you to check out the pieces at Gizmos Galleria, 1012 E. Main St. in Brownsburg and The Sterling Butterfly, 190 E. Morgan St., Martinsville. At one of our Rural Routes to Main Street Cultural Trail locations, the Art Sanctuary, 190 N. Sycamore St. in Martinsville, we found these unique painted cigar boxes made by artist Nancy Maxwell. They provide a stylish storage solution as these attractive boxes are perfect for storing personal effects atop a dresser or table. Nancy often specializes in landscapes and rustic scenes, but the boxes can be custom made for the special man in your life if he has specific interests you&apos;d like her to focus on. Already-painted boxes are available at Nancy&apos;s studio inside the Art Sanctuary and also at The Sterling Butterfly and cost $40-$50 depending on the box. 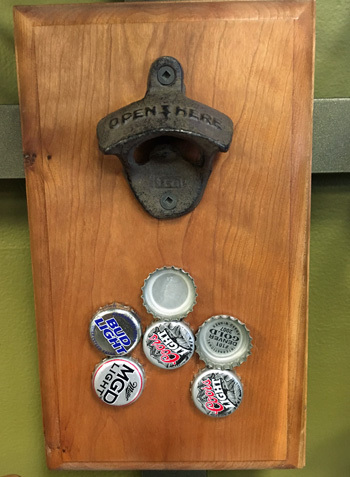 Speaking of rustic, we found these great magnetic bottle openers in an unlikely place, Artistic Designs Gallery, 1038 E. Main St. in Brownsburg. It just goes to show you that you really need to walk through the doors of all our locally owned shops as you never know what you might find. These handmade creations sell for $65 and would be the perfect gift for a man cave or garage for that man in your life who still likes his soda pop in a bottle or of course the occasional beer. I personally experienced this tour at Hunter&apos;s Honey Farm in Martinsville and loved it. One of the stops on the Rural Routes to Main Street Cultural Trail, this family-owned business offers a tour that is both interesting and educational. You can tour their warehouse where they store and process the honey. You can experience a staff member inside a see-through, netted tent interacting with the hive and the bees, showing you the different stages of the process and if you&apos;re lucky you may get to see the queen. Fill your own personalized bottle of honey and peruse their small shop filled with every kind of honey-related item you can imagine from honey barbecue sauce to honey lip balm and so much more. Tours range from under $5 to $22 per person depending on the content of the tour, take home items and number of people involved. Seize the Night Designs on the square in Danville had a lot of options for the man in your life, but we honed in on their money clips. The stylish money clips can be personalized with anything you can imagine on them from sayings to names and the list goes on. Priced at $16, they are affordable, too. During our visit to Old Bob&apos;s in Avon, we also came across these framed racing photos that at first glance appeared to be paintings. 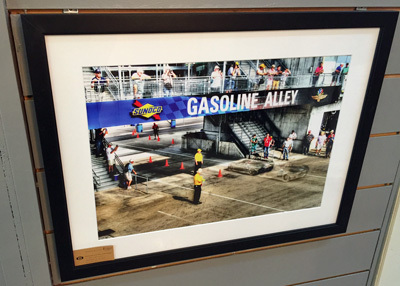 However, on closer inspection, they actually were photographs taken simultaneously at different exposures at the Indianapolis Motor Speedway of primarily vintage race cars giving the appearance of a painting and actually showing some action. These truly amazing pieces also show another aspect of that store&apos;s framing capabilities. The already framed pieces sell for about $135 though they do have unframed photographs as well. Any VW lover in your life would want to own these truly original mailboxes that look like vintage Volkswagen buses. We found these fun mailboxes in a booth at Gizmos Galleria in Brownsburg. They come in different colors and cost $50 each.